Isa 5:1 Let me sing a love-song to my beloved about his vineyard: My beloved had a vineyard on a fertile hill. Now let me sing a lovesong! This whole song is a Poetic adaption for a son or chant. About te tribe of Benjamin he said, “The Lord’s beloved people will live securely with him. The Lord will shelter them all day long, since he, too, lives on the mountain slopes. The Beloved One here is Yahweh, the God of the Jewish people. He delivered them from Egypt through the Red Sea. He lived among them by the Pillar of cloud and the Pillar of fire. The Jewish People were God’s Vineyard. Jer 2:21 I planted you like a choice grapevine from the very best seed. Now you have turned against me and have become a wild vine. Jer 12:10 Many shepherds have destroyed my vineyard. They’ve trampled my property. They’ve turned my pleasant property into a wasteland. Jesus Illustration Mat 21:33 “Listen to another illustration. A landowner planted a vineyard. He put a wall around it, made a winepress, and built a watchtower. Then he leased it to vineyard workers and went on a trip. Mat 21:34 “When the grapes were getting ripe, he sent his servants to the workers to collect his share of the produce. a vineyard on a fertile hill. Israel was on the brow of the Hill a land flowing with milk and Honey. The Land Needs the Jews! | United with IsraelUnited with IsraelThe Land Needs the Jews! He dug it with a grubber and spade. The ground was prepared for planting. 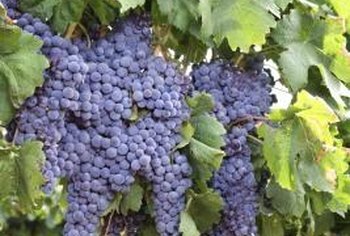 Compare the Grapes of Eshcol in Num 13:23 When they came to the Eshcol Valley, they cut off a branch with only one bunch of grapes on it. They carried it on a pole between two of them. They also brought some pomegranates and figs. He dug a winepress: there the grapes are trodden to make wine the juice runs down and is collected. but it produced only sour, wild grapes. This spoke of the offensive putrefication -> the Corruption the state of the Jewish Nation. Deu 32:32 Their grapevines come from the vineyards of Sodom and from the fields of Gomorrah. Their grapes are poisonous, and their clusters are bitter. Deu 32:33 Their wine is snake venom, the deadly poison of cobras. Wow. After all that God had done for the nation of Israel. Even today some 80% of the nation say they are secular. They don’t really believe in Jehovah. Previous Post Isaiah 4:5-6 A Promise of Protection and a Hiding Place.